One of the advantages of using VoIP is that mobile devices can be easily integrated into your enterprise phone system. Some companies allow employees to use their own personal devices to make work calls (BYOD policy) while others preferred to issue official devices for the same purpose. VoIP can accommodate either policy or even mixed-usage, where some employees have work devices and others use personal phones. Using VoIP on mobile devices usually involves installing the native app on the OS – Android, iOS or Windows Phone as the case may be. 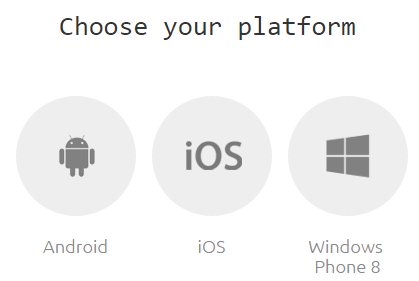 Quite a few vendors offer dedicated, native apps for each (or all) of these platforms. VoIPstudio takes a different approach. Instead of forcing customers to use a specific client that may be lacking in features that they want in particular, the service can be used with any third party application. Let’s take a look at how this works by using the service from VoIPstudio with a popular app called Zoiper. Head on to the download page on the Zoiper website, scroll down and click the link which says ‘select a provider’ as shown below. 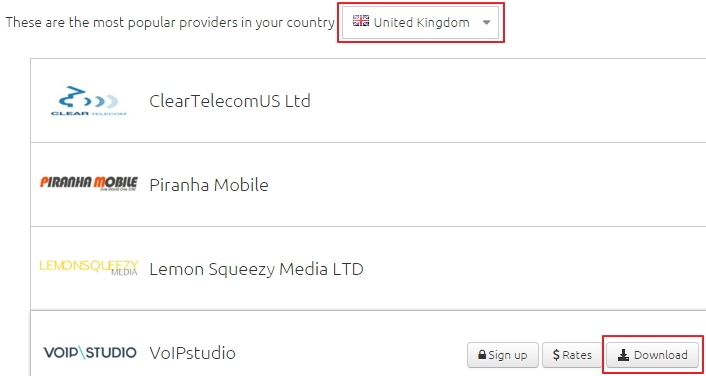 When you select ‘UK’ from the drop-down list that appears on the next page, you will see a list of popular providers in that region, including VoIPstudio. There will be three buttons next to each provider – sign up, rates and download. If you don’t have VoIP service from anyone yet, you can compare rates and sign up for a plan that suits your needs. Note that clicking either the rates or sign up buttons takes you to the homepage of the service provider in question. Once you click download, the site takes you to a page where you can select the mobile platform. Zoiper offers apps for Android, iOS and Windows Phone which should cover the needs of most smartphone users. For this tutorial, we will use Android. The next page opens up instructions for how to download the Zoiper app from the respective app stores. This is the same procedure as you would usually follow for installing any app. There are no special steps to follow just for VoIP apps. If you are viewing the page on a computer, you can click the link and remotely install the app on your mobile phone (each app store may have a different procedure for this). Alternatively you can install the application directly on your device as well. 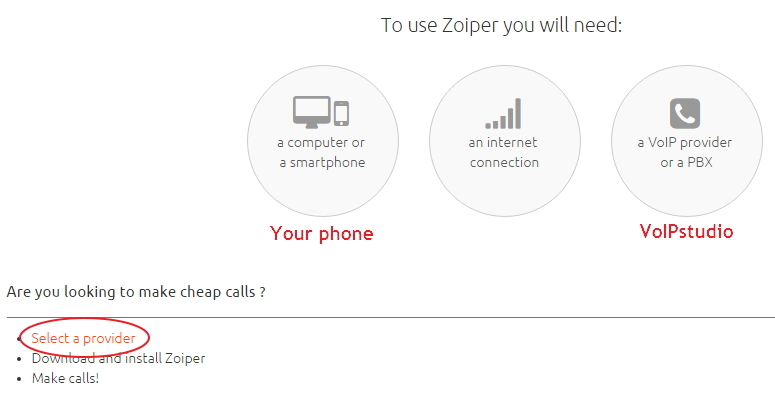 Depending on your carrier and particular model of phone/tablet, you may be able to install and use the Zoiper app and VoIPstudio service to make calls on both phones and tablets. However most people use this application on their mobile phone(s). After you have installed the app, find it in your app drawer and click on it to open. And next you have to scan the QR code. 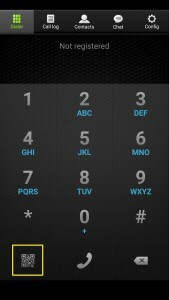 Although the screen shows a dialer, you cannot start making calls yet since you have not told the app which service provider to use. 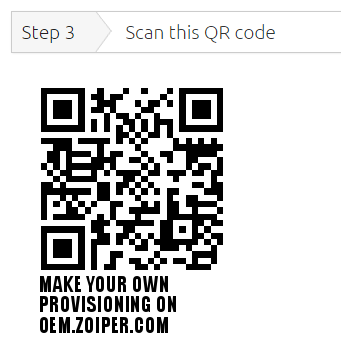 Connecting your Zoiper app to VoIP studio is pretty simple, just click on the QR code scanner at the bottom left. Now scan the QR code that is displayed on the computer screen under step 3. As you can see, the process is quick and easy. Once you have entered your username and password, you can start making and receive calls on your mobile phone through the Zoiper app via VoIPstudio. This approach offers many benefits for clients of VoIPstudio. As a customer, you don’t have to depend on VoIPstudio to include the features that you need. Third-party apps often include the latest features and you can benefit from them. For instance, Zoiper allows users to input their credentials for multiple VoIP service providers and switch between them in order to get the best rates depending on the number of their calling. Normally this is not a feature that would be included by the first party application provided by a vendor, as they don’t want you using competing services! Of course, Zoiper is just one of the many apps that works with VoIPstudio and a similar procedure will work for connecting any other mobile VoIP app.